I'm participating in Wendy's Green Thumb weekly fresh garden recipe. I like her idea very much because I get to check out other blogger's recipes for dinner ideas and inspiration. Now if you have been following along my blog for some time, you know that nothing grows in my garden, unlike Wendy's garden. 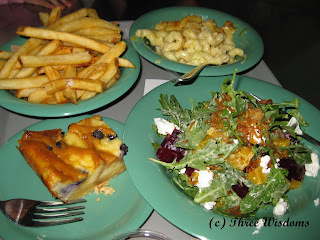 I love the salad very much except for the chunky blue cheese. 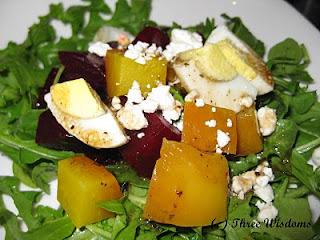 When I made my salad, I used feta cheese instead of blue cheese, omitted the fried onions, and added boiled eggs. 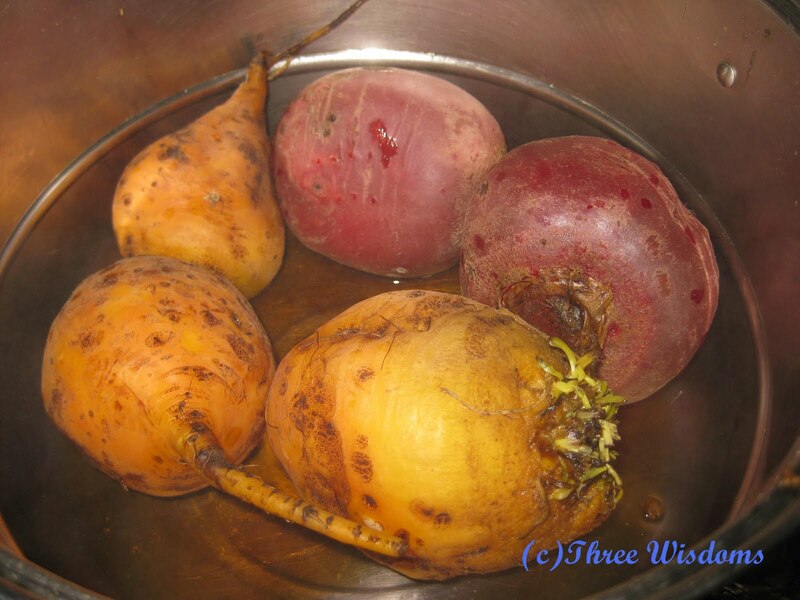 Boil the beets for about 30 minutes or until tender. Do not peel the skin to retain the color of the beets. I cooked both beets varieties together. Dice the beets. Mix all the ingredients together. That looks delicious!! I love the substitutions you made! Wow, this is a gorgeous salad. 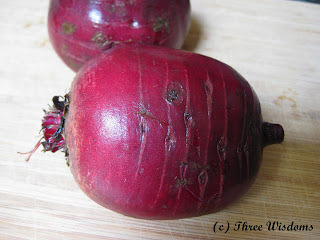 I love the 2 colors of beets together. I also would probably subsititue the feta for blue. Yummy! I don't really love beets, but I think I would enjoy this. I know my husband would love it. Alas, those are rare (roots?) over here. But deep fried thinly sliced crispy shallots we use aplenty. 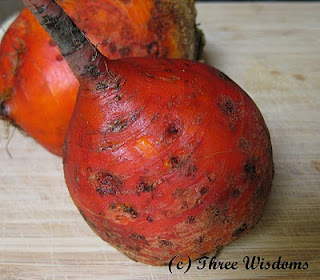 I love most veggies but somehow beets isn't my cup of tea. It certainly looks healthy. I never had a gold beet before.